Halkidiki, Greece, is a beautiful holiday destination that offers unique experiences, and sailing with BabaSails Yachting is certainly one of them. As you sail, you’re going to discover beautiful seaside and nature of Halkidiki and take a look into the region’s varied culture and history. In that regard, sailing along the coastline of Thessaloniki tends to reveal a great deal. 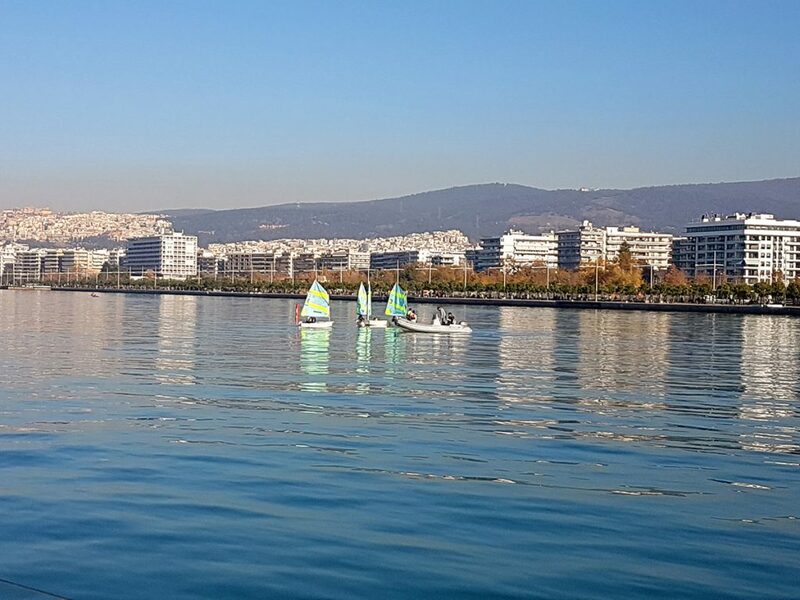 Even when you take a quick look from the open sea, you can perceive the monumental appearance of Thessaloniki with ease. Although the second largest city in Greece doesn’t have especially tall structures, its width, underlined with hills in the background, makes quite an impression. As you approach the city, you can appreciate the harmonious layout of the residential blocks, with broad, commercial streets separating them. Once you draw nearer, waterfront squares, historic buildings and nicely maintained green areas come into the view. Eventually, you’ll realize that all these points of interest are part of a long promenade. Thessaloniki waterfront promenade is an iconic symbol of the Macedonian capital, the longest waterfront promenade in Europe. 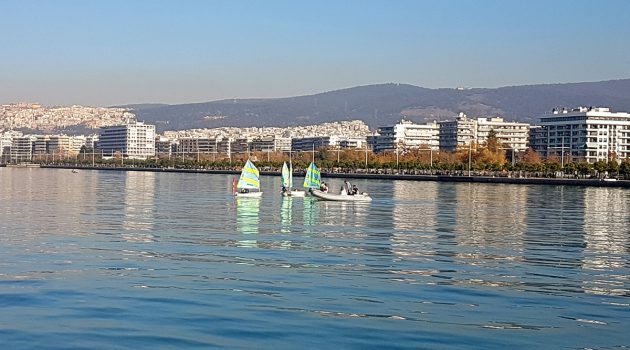 Furthermore, if we set off sailing early or stay overnight in Thessaloniki, you should take an opportunity and enjoy coffee and breakfast by the seaside. As we sail by Thessaloniki’s coastline, you can appreciate the beauty and diversity of the Macedonian capital up close. You’ll certainly find Aristotelous Square, at the western end of the promenade, appealing. While the semicircular square is a worthy sight by itself, we might get lucky and attend a cultural event as we sail by. Pay attention to the White Tower, the main symbol of the city. It dominates over the city waterfront as the hillside castle, further inland, dominates over Thessaloniki. You’ll agree this circular structure is a powerful sight any time of the day, during the night in particular. Note Alexandre’s Garden as well, flanked by the White Tower. In one of the most beautiful green areas in the city, you can see a monument honoring Alexander the Great. Finally, the capital of Macedonia is just a single stop BabaSails Yachting can take you to. Therefore, whenever you feel like experiencing something new and unique during your holiday in Halkidiki, BabaSails is there to offer you just that, and more.